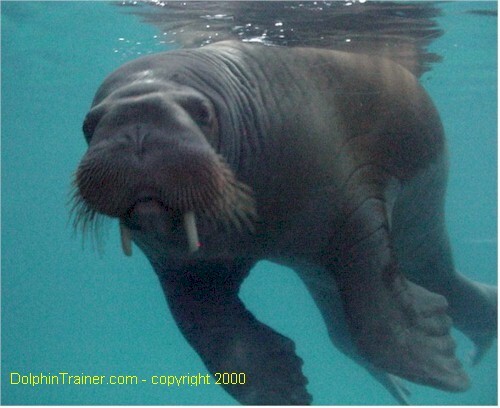 Simple put, a marine mammal is a mammal who lives in a marine or, in some cases, an aquatic environment and obtains all or most of its food there too. So, what is a mammal then? To be classified as a mammal an animal must posses all five of these characteristics. They have lungs and breath air. They are warm blooded and maintain a constant body temperature. Most bear live young. One primitive mammal group, the Monotremes (which includes the duckbill platypus and the echidna) lays eggs. They produce milk and nurse their young. They have hair at some point in their lives. Obviously there are a lot of examples of animals that live on land that meet these five qualifications, including dogs, horses, cats, rats, pigs and people. For animals that live in the seas and oceans, those that meet all five criteria certainly include seals, sea lions, walruses, sea otters, polar bears and manatees. But what about dolphins, whales and porpoises? Hair? Yes, very early in life these animals posses hair around their mouths which are usually lost soon after birth. If you look closely at some of these adult animals you can still see the raised follicles were the hair used to be. 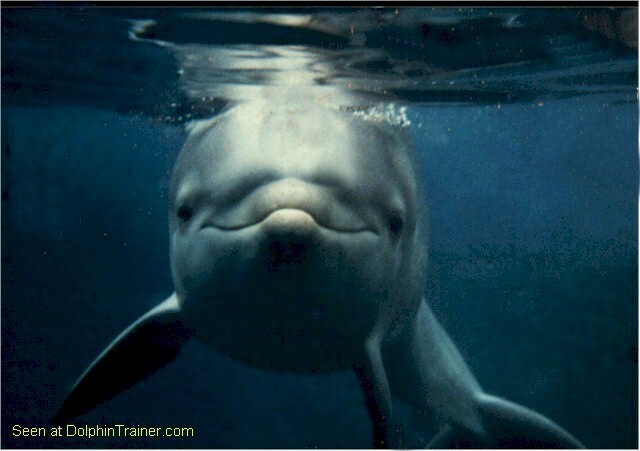 All marine mammals were originally land mammals and share common ancestry and characteristics with every other mammal. Over time they became more and more specialized to meet the challenges of life in an aquatic environment. For example, cetaceans, who live their entire lives in the water, have little need for hair. In fact hair can be a problem by acting as a drag to slow them down as they speed through the water. To be more efficient in the water they have lost almost all of their hair. On the other hand, slower swimming marine mammals that still spend a lot of their time on land, such as polar bears and sea otters, still rely heavily on the protection and insulation that their hair or fur provides. 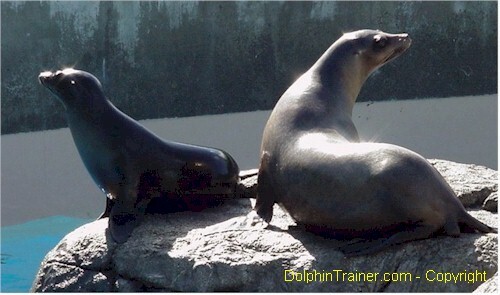 What are the four general types of marine mammals? Scientists classify all types of animals and plants by their genetic relationships to each other. This process is called taxonomy. As we have already seen, to be classified as a mammal you need to posses all 5 characteristics listed above. All mammals are members of the "class" Mammalia. Within this class are smaller subgroups called "orders". Three of these orders are made up entirely of marine mammals. They are the orders of Cetacea, Pinnipedia, and Sirenia. A fourth order Carnivora contains both marine and land animals. 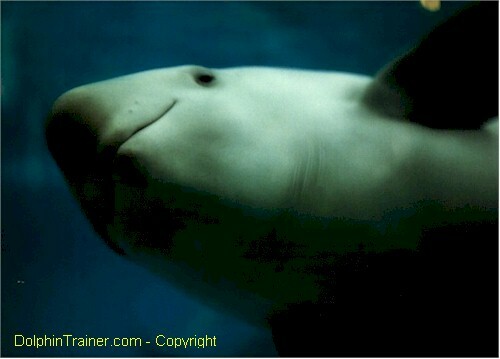 For a chart showing a complete taxonomic classification of all marine mammal families, click here.